November is National Alzheimer's Disease Awareness Month, initiated by the Alzheimer's Foundation of America in 2003. One of the events is National Memory Screening Day, Nov. 17. Some of you may have noticed various screening day campaigns in your area. Screenings often take place on senior campuses, long term care facilities or local retail businesses. To check screening sites in your area go to www.afascreenings.org. Regardless of whether you were to pursue a screening this week or another time, consider a few things. While screenings can be a good thing, widespread screenings for anyone who is not showing symptoms are not unanimously endorsed. 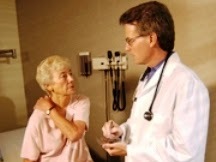 The U.S. Preventive Services Task Force issued a statement in 2003 that there was insufficient evidence for or against the screening of older adults. The American Academy of Neurology recommends screening only when dementia is suspected. One of the main reasons against screening for everyone is that they result in a lot of false positives. In addition, many sources indicate that when a screening indicates a concern, many people never take the information to their doctor for further evaluation. Yet, a community-wide memory screening can be a helpful first step for families if they are seeing signs of memory problems. The screening is relatively simple, accessible, and takes little time. It may help persons with memory concerns or their partners learn more about dementia and can be a good first step toward early diagnosis. In general, we can all decide for ourselves if we want to participate in a community based memory screening given our own circumstances. If physicians and patients have a long standing relationship, memory problems usually get noticed in the office. The most important thing if you suspect memory changes is to see your doctor early and discuss your specific concerns.